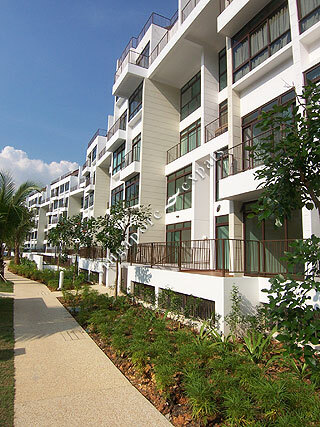 Varsity Park is a 530-unit 99-year leasehold condominium located at West Coast Road. Inspired by the organic development of a village, the parkland at Varsity Park weaves through the housing clusters. Each cluster borrows differing features of the rural landscapes. Facilities at Varsity Park include exercise stations, BBQ pits, putting green, picnic lawns, tennis court, "beach" lagoon, gymnasium, function room and children's play area. Varsity Park integrates well in this locality which comprises parks or developments in a park environment. The renowned National University of Singapore is just across Clementi Road. The new economy industries of research, technology and biotechnology are located near the campus at One-North and the Science Park. The West Coast Park and Clementi Woods, both within walking distance from the condominium offer more recreational facilities like cycling trails and kite flying fields. Close-by Ginza Plaza is your friendly and convenient mall with a supermarket. A wider range of amenities can be found at Clementi Town Centre. Varsity Park is linked to the rest of the island by West Coast Highway and Ayer Rajah Expressway (AYE). It takes about 20 minutes drive to the Central Business District. Resort living. Very green lots of open area for kids to play. one of the few condo's with sand play, jungle gym, treehouse, reading room and play areas. Beautiful Family and Kid Friendly. Beautiful low rise condo. Child friendly, well connected by public transport and highways. Low rise, kid friendly condo. Easily accessible by public transport as well as car. Free shuttle bus is a big plus. Fantastic holiday resort style and atmosphere. Even with 500+ units, the well designed layout and Wide areas within compound gives ample space and it never feels crowded. Great pool and outdoor facilities for singles and families. Balconies allow for fun alfresco dining and partying. Love the place.